Perhaps it’s the economy, or maybe Volkswagen simply decided the time is once again right, but it’s a fact that VW’s Jetta SportWagen is back for 2009. This five-passenger, four-door wagon... and it is a station wagon in the true sense of the word, even VW admits that... brings back 67 cubic feet of cargo area with the rear seats folded and a nimbleness that is rarely found even in the most European of low-to-mid-priced Euro-sedans. Obviously sharing the same chassis and front end as the Jetta sedan, this precocious family wagon comes in four trim levels, the base S, the midlevel SE, the sporty TDI, and the top-shelf SEL. No doubt due to its European heritage, the reprised SportWagen (still known as the Golf Estate wagon in Europe) may be a bit harsh as far as ride comfort goes, especially with the larger available wheel sizes. Many owners, however, might be willing to live with a bump or two for the sheer exhilaration of experiencing this compact wagon’s handling capabilities. And the TDI’s turbodiesel inline 4-cylinder engine is claimed by Volkswagen to be the cleanest diesel available, with all three powerplants eligible for Partial Zero-Emissions Vehicle status in states with California emissions standards. One drawback in this otherwise well-wrought wagon, however, is the unavailability of all-wheel drive (AWD). Alas, styling, never a highpoint with this mid-priced compact wagon, remains hit-or-miss with most tire kickers. In any case, serious competition for the 2009 SportWagen comes in the form of the Audi A3 TDI, the Subaru Outback, and Toyota’s Venza. All are solid compact wagons, but all are also a tad pricier than VW’s entry, which starts at less than $20,000. A choice of three engines is offered with the ‘09 SportWagen. Said choices begin with the standard 170-hp, 2.5-liter inline 5-cylinder (I5) engine that’s standard in the S and SE versions. Combined with the standard 5-speed manual transmission or the available 6-speed shiftable automatic transmission, the five-banger puts out 177 lb-ft of torque to the tune of 21/30 mpg with the stick shift and 20/29 with the shiftable automatic. The next engine choice is a turbocharged 2.0-liter inline 4-cylinder (I4) gasoline engine that’s standard in the SEL trim. Mated with either the standard 6-speed manual transmission or the highly touted optional 6-speed, dual-clutch DSG Tiptronic auto-manual transmission, this puppy pounds out 200 hp and 207 lb-ft of torque. 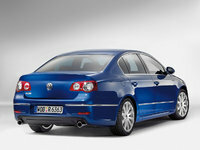 Mileage is estimated at 21/31 with the 6-speed manual transmission or 22/29 with the 6-speed DSG. The final choice is a 140-hp, 2.0-liter I4 turbodiesel powerplant that comes only in the TDI trim level. When paired with either the standard 6-speed manual or the available 6-speed DSG, the potent turbodiesel churns out 236 lb-ft of torque at an amazing 31/41 with the manual or 29/40 with the DSG transmission. 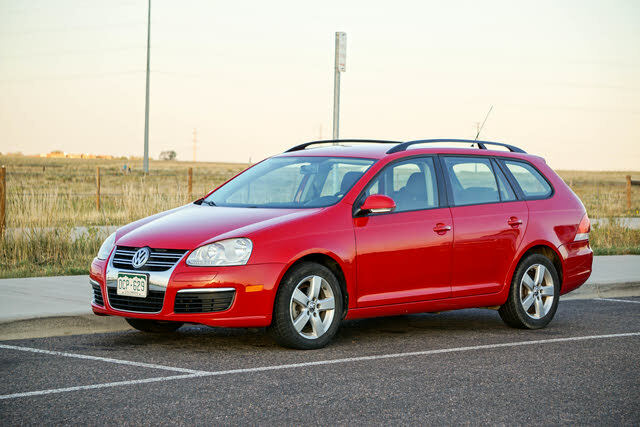 Appearance features for the 2009 SportWagen S trim include 16-inch steel wheels and a roof rack. Inside, this comfy base trim boasts cloth upholstery, heated, power-adjustable front seats, fold-flat front passenger seat, power door locks, windows and heated outside mirrors complementing remote keyless entry. A tilt/telescoping steering wheel, meantime, is also standard in the S trim, as are cruise control, air conditioning, front and rear floormats and an MP3-capable single-CD player with eight speakers. The SE steps up with 16-inch alloy wheels, upgraded cloth upholstery, and a rear center armrest with storage, while the TDI chips in 16-inch Ditto 10 alloy wheels and a multifunction trip computer. The top-shelf SEL, meantime, throws 17-inch alloy wheels, leather upholstery, dual-zone climate control, a universal remote garage door opener, memory for driver's settings, a 6-CD changer with a couple of extra speakers, satellite radio and a leather-wrapped steering wheel, brake handle and shift knob. Options for the ’09 SportWagen run the gamut from 17-chrome wheels and the very sharp 18-inch black Karthoum wheels to an iPod adapter and power tilt-and-slide sunroof in all trims. A touchscreen DVD navigation system and USB connection are available to the SE and higher trim levels. 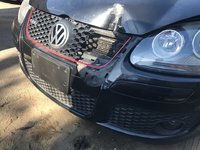 Safety features in the ’09 SportWagen trims include such basics as four-wheel antilock brakes (ABS) as well as traction control and, standard for 2009, stability control. Additionally, standard front side-mounted airbags, front and rear head airbags, daytime running lights and a remote antitheft alarm are also standard across the lineup. The SEL also boasts standard turn-signal-integrated mirrors, while rear side airbags are available for all trims. A noisy cabin, the lack of available AWD, issues with convoluted controls, and the rather timid and raucous 2.5-liter I5 engine lead the list of owner gripes with the ’09 SportWagen. On the positive side, a roomy cabin, scads of cargo space, surprisingly nimble handling, and both the 6-speed DSG and silky 6-speed manual transmissions come in for some well-deserved owner kudos. What's your take on the 2009 Volkswagen Jetta SportWagen? 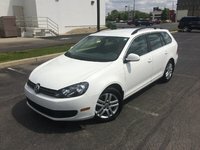 Have you driven a 2009 Volkswagen Jetta SportWagen? How Do You Get To Abs Control Module?